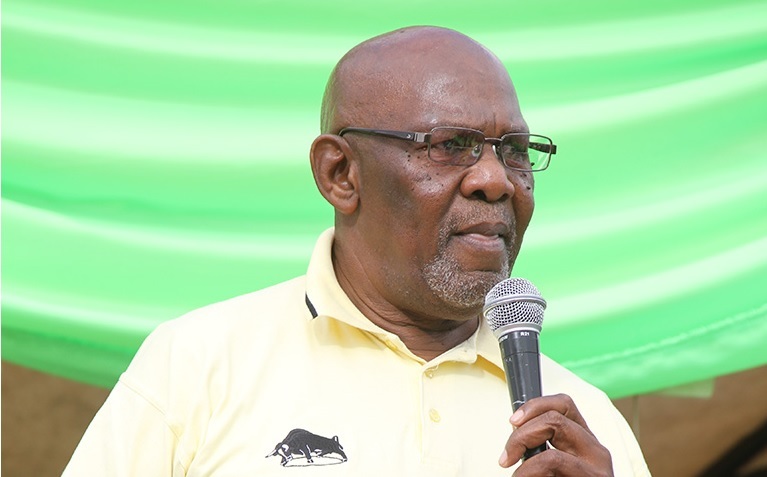 ZAPU president Dumiso Dabengwa has challenged President Emmerson Mnangagwa to review his appointment of the National Peace and Reconciliation Commission (NPRC) whose composition he said was improper rendering it ineffective and meaningless to its cause. Last year, Mnangagwa signed the National Peace and Reconciliation Commission (NPRC) Bill into law to operationalise the commission that was appointed in 2016. The NPRC Act provides for the functions, powers, operations and removal from office of members of the commission. According to Section 252 of the Constitution, the NPRC's functions are to ensure post-conflict justice, healing and reconciliation. However, the Commission that has been undertaking consultations countrywide in the past few months has been received with mixed feelings. With Mnangagwa having been given a five-year mandate to lead the country, Dabengwa felt it was time the issue of national healing be prioritised. "NPRC should be formed afresh, I mean its composition, I think the president must ponder over it and see exactly how it is," Dabengwa told Southern News. "The composition was not well considered. We want the people who are relevant and competent enough; those are the people who should be able to speak to the elders in the rural areas in the language they understand. So, there is need for people in the commission who understand other people's language," he said. In February this year, debate on the consultative dialogue by the NPRC had to be aborted in Bulawayo after local activists disrupted proceedings, saying the composition of the commission is not reflective of the national outlook while others called for an international organisation to deal with disturbances of the past. The activists claimed there was no tribal balance in the commission which eventually discredited its sincerity in conducting its duties. However, asked about the idea of having the NPRC under the office of Vice President Kembo Mohadi, Dabengwa said: "It is supposed to be an independent commission so when it falls under someone's office then there is a problem. We want to see a completely independent commission." Dabengwa also attacked Mnangagwa for prioritising the recent shooting of protesters by the army in Harare ahead of the Gukurahundi atrocities. "Mnangagwa should be sincere enough and do what is right, six people were shot by the army and a Commission of Inquiry was quickly put in place but we have a situation where he is failing to put in place a stronger commission for 20 000 people who perished, surely it shows something is wrong," the Zapu president said. In December last year, Dabengwa declared that if the Gukurahundi issue was not addressed, he was going to disregard the law and lead reburials of the victims. However, in a major climb down, Dabengwa said he was now assessing the situation. "I said the statement before these other developments. We want to give Mnangagwa an opportunity to reconsider how he will handle all these things." In 2016, in an interview with United Kingdom-based magazine New Statesman, Mnangagwa said reports linking him to the atrocities were being peddled by his political foes to soil his image.